It is the pungency of our spices, notably cinnamon which launched many ships towards ancient Sri Lanka. Ceylon Cinnamon and Sri Lanka’s affinity is so strong that the very botanical name Cinnamomum zeylanicum is derived from the island’s ancient name Ceylon. 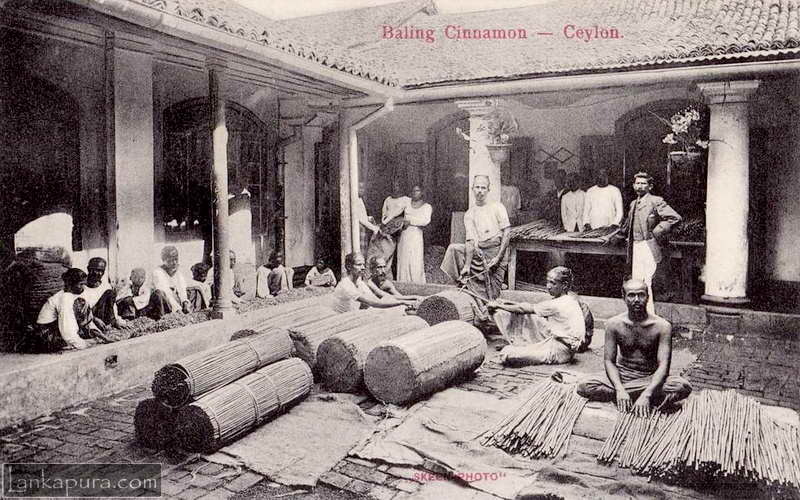 Ceylon Cinnamomum zeylanicum also called “True Ceylon Cinnamon” is indigenous to Sri Lanka. Pure Ceylon Cinnamon thrives from the Southern Province of Sri Lanka, where Cinnamon is the main livelihood of households in this region. 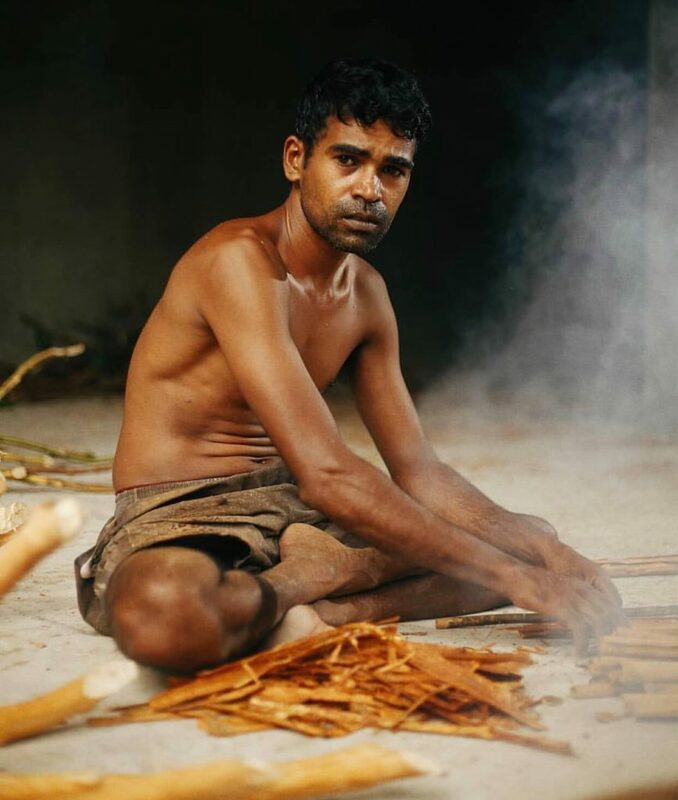 Cinnamon peelers play the significant role in the production of each individual cinnamon stick that is handcrafted and hand rolled with immaculate skillful technique to 42 inch long sticks. Cinnamon peeling is a lot of hard work and is an art that is passed down from generation to generation of Cinnamon peelers. The use of cinnamon dates back to ancient Egypt, where the ancient Egyptians used it as a medicine, a spice, and as an embalming agent. Cinnamon was so valued that it was considered more precious than gold at the time due to its scarcity and its multiple uses. Some of the earliest mentions of cinnamon are in the bible, and it was already important in civilizations dating back to 2000 BC. Possession of Cinnamon was considered a status symbol and luxury item in Europe. 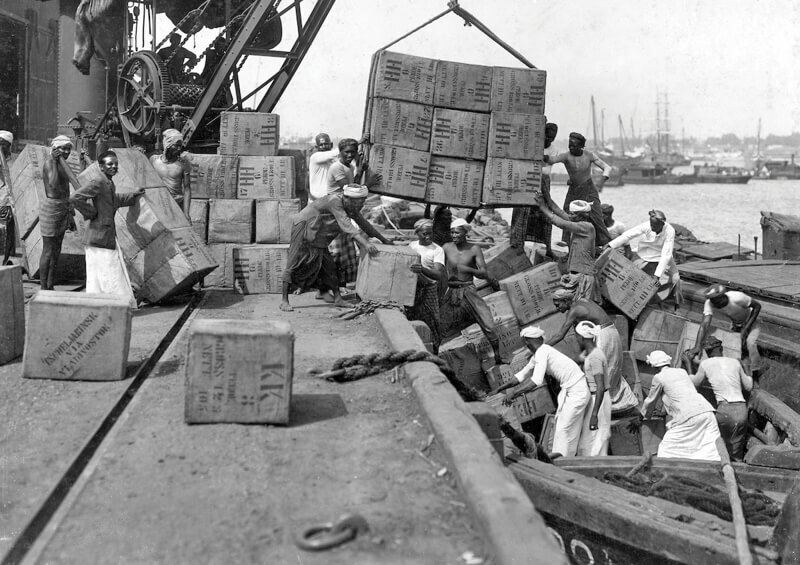 Arab traders transported it from Asia via cumbersome land routes. Covetous of this elusive and fragrant spice, the Portuguese discovered the source of Ceylon Cinnamon in present day Sri Lanka around 1518. After conquering this island nation, the Portuguese and later the Dutch locked up control of the Ceylon Cinnamon trade for the nearly three hundred years! Today, Ceylon Cinnamon is widely used in the food and medicinal industries with an evergrowing demand and Sri Lanka is the only and the largest producer and exporter of True Ceylon Cinnamon.